PT Indosat Tbk - Indosat or more popularly called "Indosat Ooredoo" is a well-established and reputable telecommunication services company in Indonesia. Indosat Ooredoo has its business activities focused in three sectors: cellular, fixed data and fixed telecom. Indosat Ooredoo is positioned inside the top three of cellular operators in Indonesia. As of December 2016, Indosat Ooredoo maintans 85.7 millions of total active cellular subscribers. Indosat Ooredoo is a local subsidiary company of Ooredoo Group (previously known as Qatar Telecom), a leading telecommunication services company in Middle East region. At present, the majority of Indosat Ooredoo’s shares are owned by Ooredoo Group through Ooredoo Asia Pte Ltd (65%). Another 14.29% are owned by the Government of Indonesia (14.29%) and public (20.71%). 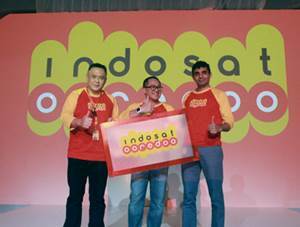 In term of financial performance, Indosat Ooredoo posted positive financial performance in 2016. According to Indosat Ooredoo Corporate Presentation Full Year 2016 as quoted by JobsCDC.com, Indosat Ooredoo managed to record a total consolidated revenue of Rp 28,185 billion at the end of 2016 or equal to an increase of around 9.0% compared to Rp 26,769 billion the previous year. Referring to its corporate presentation, total profit attributable to owners of the parent increased from a loss of Rp 1,310 billion in 2015 to a profit of Rp 1,105 billion in 2016. Fully committed to undergo Program Kerja Seru Indosat Ooredoo for 3 months. Still registered as an active student of Undergraduate Program (S1) in any field and minimum in the 5th semester or have passed a maximum of 6 months from the date of graduation. Strong academic results with minimum GPA of 2.75. Scan of Recommendation Letter from the campus (for those who are still registered as an active student) and Certificate of Graduation (for those who have graduated). Have knowledge of social media trends. The candidates are required to have an active account in social media (Instagram, Facebook, Twitter and LinkedIn). Have a good health with proven Health Certificate from a doctor. Never before has undergone practical work in the business area Indosat Ooredoo. This program only apply in Sumatera, Kalimantan, Sulawesi and Lombok. JobsCDC.com now available on android device. Download now on Google Play here. Please be aware of recruitment fraud. The entire stage of this selection process is free of charge. PT Indosat Tbk - Recruitment Fresh Graduate Internship Program Indosat Ooredoo April 2016 will never ask for fees or upfront payments for any purposes during the recruitment process such as transportation and accommodation.